The 2017 Pirelli World Challenge season is the twenty-eighth consecutive year for the championship. There are eleven race weekends. The Grand Touring Sport category title chase kicks-off in March at Saint Petersburg. 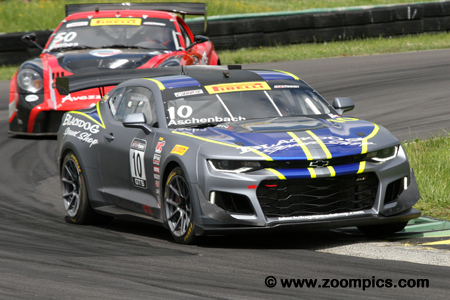 This event is followed by races at Virginia International Raceway, Canadian Tire Motorsport Park, Lime Rock Park, Road America, Mid-Ohio and Utah Motorsport Complex. The penultimate rounds are held a Circuit of the Americas with the finale taking place at Sonoma Raceway in mid-September. Grand Touring Sport (GTS) – The cars in this group are similar to the Grand Touring vehicles but have more preparation restrictions. Drivetrain layouts include all-wheel-drive and front and rear-wheel drive. These cars may be powered by forced induction or normally aspirated motors. In previous years, the Grand Touring Sport class was mainly comprised of Ford, Chevrolet and Porsche products. In 2016, this category witnessed an influx of FIA GT4 vehicles which proved to be very competitive – Porsche Cayman GT4 Clubsport, KTM Xbow GT4, Ginetta G55 GT4 and SIN R1 GT4. Rounds three and four of the 2017 Pirelli World Challenge Grand Touring Sport (GTS) season took place during the Nissan Grand Prix of VIR weekend. 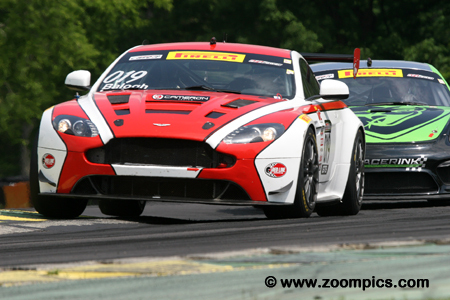 Seventeen cars competed in the two fifty-minute races around Virginia International Raceway’s seventeen-turn 3.270-mile road course. 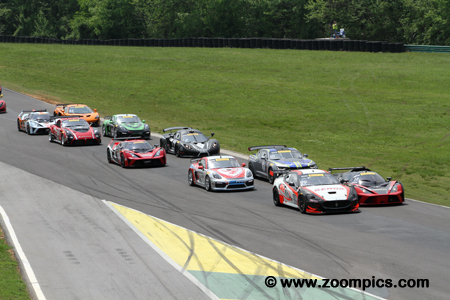 The GTS grid exits Virginia International Raceway’s last turn and lines up for round four’s standing start. On the pole is Saturday’s race winner, Nico Jamin driving the No. 13 KTM Xbow. Sharing the front row with Jamin is the No. 99 Maserati of Jeff Courtney. Behind them is the remainder of the field - fifteen Grand Touring Sport competitors. Successful, open wheel racer, Nico Jamin made the switch to the Pirelli World Challenge series driving the ANSA Motorsports KTM Xbow GT4. In 2015, Jamin won the U.S. F2000 National title and the following year he finished third in Pro Mazda Championship. The newcomer won rounds three and four and set the fastest lap in each race. Aristotle Balogh drove the No. 019 Aston Martin Vantage GT4 prepared by Stephan Cameron Racing. In the weekend’s first event Balogh qualified tenth overall and second in the amateur category. 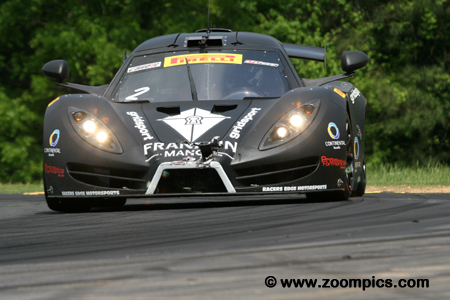 At the end of twenty-six laps, he was seventh overall and captured the class victory. On Sunday, Balogh retired on lap-5 and was classified as a non-finisher. 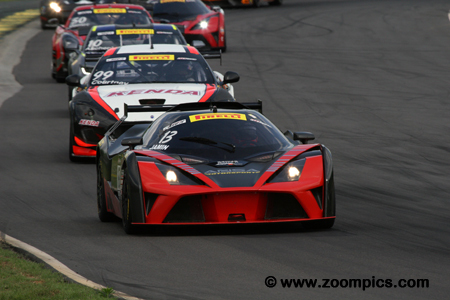 Pirelli World Challenge veteran, Jeff Courtney had his best weekend to date. 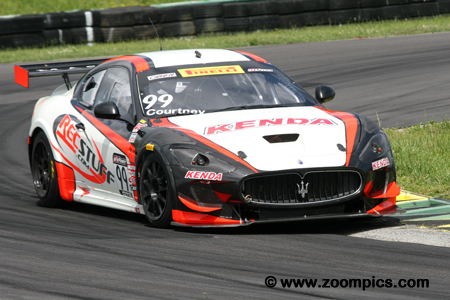 Courtney driving the JCR Motorsports Maserati GT4 qualified on the pole for round three. Unfortunately for him, he was passed by the eventual winner, Nico Jamin and finished second overall. The following day he repeated his performance, capturing the runner-up position. Jason Bell made his Pirelli World Challenge debut in 2017 at the Grand Prix of St. Petersburg. Previously, Bell had competed in the Sports Car Club of America’s National racing program – in the F1000 class. Driving the No. 2 SIN R1 GT4 in his debut, Bell finished third in the amateur class. 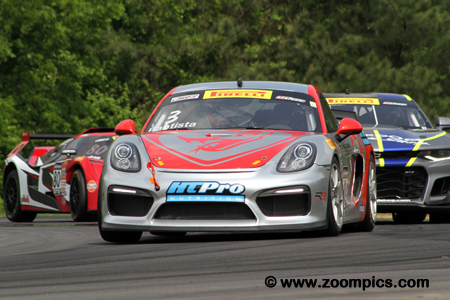 At Virginia International Raceway, he was the GTSA winner in round four. Lawson Aschenbach opened the season with two-second place finishes driving the No. 10 Blackdog Speed Shop Chevrolet Camaro GT4R. 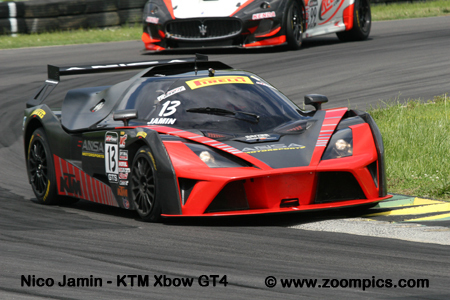 The two-time GTS champion had another solid weekend at Virginia but was no match for the KTM Xbow of Nico Jamin and Jeff Courtney in the Maserati GT4. Aschenbach qualified fifth but captured third in both rounds. The successful Flying Lizard Motorsports team entered two Porsche Cayman GT4 Clubsport MRs – driven by Brazilian, Rodrigo Baptista and the series youngest GTS winner, Nate Stacy. Baptista drove the No. 3 Porsche and fared much better than Stacy. He qualified third quickest for round three and finished fifth. The following day Baptista retired after ten laps. 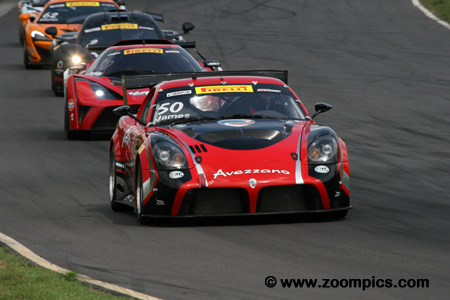 Team Panoz Racing struggled with the new Panoz Avezzano GT at St. Pete. Veteran sports car racer, Ian James, was unable to finish rounds one and two. The team’s fortunes turned around in Virginia. James started Saturday’s race eighth but was third at the checkered flag. The following day he was second at the finish but penalized one position for aggressive driving. 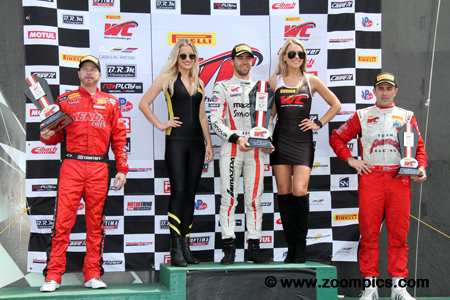 The GTS podium for round four. In the center is Nico Jamin, who swept the weekend with two race wins and a new lap record. To Jamin’s right is third place finisher and four-time series champion, Aschenbach. Completing the podium is Ian James. James and Aschenbach would switch finishing positions after James was penalized for his last lap pass on Aschenbach.